WHAT SIZE CONTAINER DO I NEED? 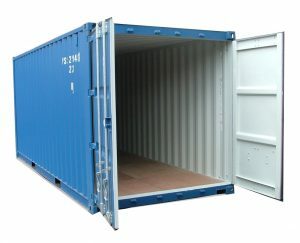 WHAT ARE THE DIMENSIONS OF A 20FT & 40FT SHIPPING CONTAINER? One of the most common Container Removal Questions that we get asked is "What Size Container do I need"?. Generally we find that our 20ft container is sufficient to hold the contents of a 3 bedroom household. You can also download a shipping container specification sheet here that will give you all the information regarding external and internal dimensions of our containers, including cubic volume on 20ft, 20ft HC, 40ft & 40ft HC containers. Here are some photos of a 20ft container, all containers provided have lockable doors (you will need to supply a sturdy padlock). All of our container have tie rails either all the way around the container (as shown below), or tie down down loop points approx every 1metre on the roof and also on the floor. Please click here to view our transit times moving interstate page. 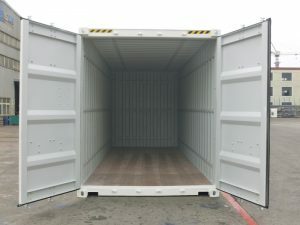 CAN YOU OFFER STORAGE FOR MY SHIPPING CONTAINER? Yes, we can offer short term storage. As we are predominantly a removalist company, we only provide short term storage. We allow 30 days hire of our shipping container during your move. If you require to hire our container after this period, storage and hire fees of the container will apply (Please refer to our full Terms and Conditions documentation provided with your quote). We allow a maximum of 30 days storage in our depots. Your quote includes 30 days container hire, after this you may wish to hire it for an additional 30 days (60 days in total) please see your quotation for charges applicable. 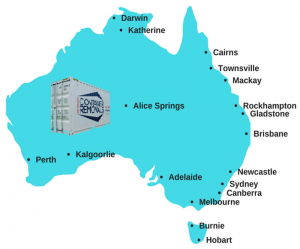 We can offer Short Term Container Storage in All States Australia Wide. *Please note that we can allow up to 60 days hire of our containers and up to 60 days storage in our facilities, or as pre-arranged with our customers. CAN I USE MY OWN SHIPPING CONTAINER? Yes, we can transport your own shipping container! 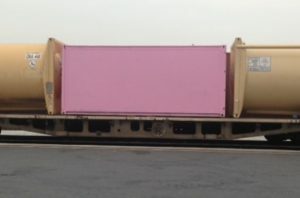 When our customer said their shipping container was pink, they weren't kidding!! I wonder what the locals in Kalgoorlie will make of this?? Did you know that you can use your own shipping container for your Self Pack Interstate move? (Subject to rail compliance) We don't mind what colour it is!! Containers can be bought and sold through container trading businesses and also personally via sites such as eBay and Gumtree. Shipping Containers make excellent storage or garden sheds. Shipping containers are wind and water tight so are traded nationally for commercial and residential use. When booking to transport your own shipping container, we will require your container identification # and a copy of the containers current compliance plate/certificate. Ask us for a quote to move your own 20ft or 40ft shipping container Interstate today. 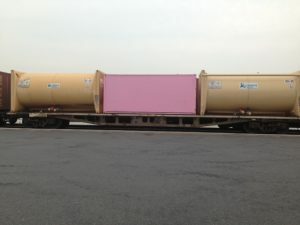 Please note that we specialise in transporting containers Interstate. 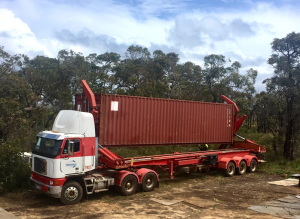 We can also transport your container within Queensland between our major rail network areas, being Cairns, Townsville, Mackay, Rockhampton, Gladstone and Brisbane. We can also transport your own container long distances between the same state. HOW DO I PACK THE CONTAINER? Please click here to view our packing tips. Yes, a confirmed booking with ACR entitles all customers of ACR to TRANSIT Insurance Cover for Total Loss Only. In the event that the container and contents are a total loss due to any one of the following specific events – fire, explosion, lightening, flood, collision, overturning, jack-knifing or derailments – customers will have cover under ACR transit insurance. Please note that this will be in the event of total loss only. The limit of any one claim is $100,000.00. Customers are not covered for incidental or accidental breakage or damage to goods inside the container during transit. Australian Container Removals will not be responsible for breakage or damage to goods inside the container during transit, irrespective of the nature or cause of the damage. ACR encourages all clients to consider independent transit insurance to ensure they have adequate cover in the unlikely event of incidental or accidental breakage or damage to the goods inside the container during transit and storage. We suggest you contact your home and contents insurer. ACR carries public liability insurance. DO I NEED FORMS FOR MOVING TO WESTERN AUSTRALIA? WA QUARANTINE? Yes you are required to complete WA Quarantine Forms. If you are moving to Western Australia you will be required by WA Quarantine .to declare goods in your container before arrival. We will email you the WA Quarantine forms required. These quarantine forms must be signed and returned to our office prior to the departure of your container in another state. If you have any of the goods above in your container, WA Quarantine will most likely arrange and conduct an inspection of your container and charges will apply. Shipping containers should be placed within your property boundaries – in your driveway or on your front lawn. In these instances, council permission is not necessary. If however, you would like the container on the nature strip or across any part of council land, then it is very likely that you will need a permit. Every council is different and has its own regulations on sea containers. 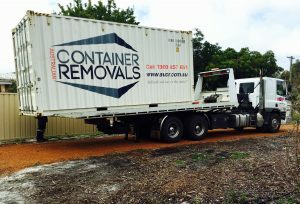 It is recommended that you give your local council a call before making a purchase or arranging a shipping container to be delivered to your home or business for your Interstate move. HOW SECURE ARE THE SHIPPING CONTAINERS FOR MOVING INTERSTATE AND FOR STORAGE? Shipping containers provide excellent security for your household items. They are robust and can be secured with up to 4 four locking devices. A good sturdy padlock is the most common way to secure the doors and we would recommend that you use at least one for peace of mind. When packing the container make sure that you secure down your goods with strong ropes at regular intervals. There are either furniture rails around the inside of your container, or tie down points on the roof and floor to attach the rope to securely. Make sure that you use thick boxes, padding and blankets to wrap your goods, as there will be some movement in transit and this will minimise rubbing to your goods. HOW IS THE SHIPPING CONTAINER DELIVERED TO MY HOME? Delivery methods usually depend on access to your property. The two most common shipping container transportation methods are tilt tray trucks for 20ft containers and side loading trucks for 40ft containers. Below is a photo of a 20ft container being delivered via Tilt Tray Truck- our most common container and truck used for residential moves. We then transit your container to our nearest rail point, where your container travels via rail Interstate to your closest rail point at your new destination. WHAT IF, FOR SOME REASON, YOU CAN'T GET A SHIPPING CONTAINER INTO MY STREET/HOUSE/APARTMENT? This happens from time to time. Perhaps your street is too narrow for a truck, power poles or overhead power lines are in the way or council restrictions prevent the delivery of a container. In these instances, give us a call 1300857851 and we talk about the best way to load or unload the container. 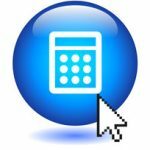 WHAT ARE THE PAYMENT METHODS ACCEPTED BY AUSTRALIAN CONTAINER REMOVALS? Bookings will be secured with a 50% deposit with the balance due before collection of your full shipping container. 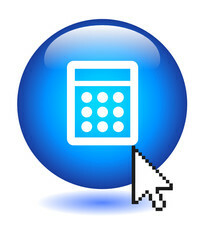 We accept bank cheque, direct deposit or credit card payments. Credit card payment attract a 1.5% bank merchant fee. In an increasingly globalised world, companies of all sizes need to be able to transport goods safely, efficiently and affordably. Of course, this is often easier said than done, particularly here in Australia. Spanning more than 7.5 million square kilometres, the sheer size of our country poses interesting logistical challenges for all commercial movers wishing to transport goods from one side of the nation to the other. Enlisting the services of a professional company can help streamline the transporting process and help you get your goods from A to B in a timely and affordable fashion. What’s more, you might be surprised to learn that transporting a sea container from Perth Western Australia to Melbourne is significantly cheaper than sending it from Melbourne to Western Australia. This allows you to capitalise on opportunities when they arise while keeping shipping costs low. What’s responsible for the west to east transport cost discrepancy? Why are sea containers becoming increasingly popular outside the logistics industry? And how much cheaper is it to send a container from Perth to Melbourne than vice versa? As one of the leading providers of sea container transport in Australia, we’ve rounded up everything you’ll need to answer these questions and more. Sea containers play an integral role in the freight and logistics sector. They are incredibly efficient, thanks to their standardised size, and ability to be loaded, stacked and transported on multiple types of transport without being opened or unloaded. Containerisation has been around in form or another for hundreds of years, but really only grew to prominence in the years following World War II when international trading exploded in popularity. Advances in technology allowed cranes, forklifts and other specialist machinery to mechanise most of the shipping processes, eliminating the need for manual sorting and handling. It’s worth noting that while containers are primarily used in freight, they do have applications that extend far beyond the logistics sector. In recent years, there’s been a surge in the number of companies and individuals using sea containers for all sorts of creative purposes, including low cost housing, portable toilet blocks, retail building, secure storage and a whole lot more. It’s easy to see why. Not only are sea containers relatively affordable when compared to other structures of a similar size and durability, they’re also incredibly hard wearing and are built to stand the test of time. In addition, the unique and distinctive visual aesthetic of sea containers enables builders and designers to easily inject some chic industrial style into their projects. Finally, sea containers are supremely portable, which makes them excellent options for companies that want a temporary office or retail building without the expenses involved in constructing a permanent solution. You probably know that the price of transport services can vary significantly depending on the route, weight of the cargo and a few other factors, but what you may not be aware of is that the direction of the shipment can also have a big impact on transportation costs. For example, the cost of sending a sea container from Perth to Melbourne is substantially cheaper than sending that same sea container from Melbourne to Perth. It’s the same route, so why the difference in price? There are a couple of factors at play here. Firstly, there’s a lot more demand for transportation services in Melbourne as the companies there tend to transport more goods than other states in Australia. A higher level of demand means a scarcity of supply, which in turn drives prices up. There’s also a one way fee that rail transport service providers charge if the number of containers that are sent out of Perth is not the same as the number of containers that return. This imbalance fee is factored into the cost. Looking beyond the Perth to Melbourne route, you can also get a great deal on transporting goods from Perth to the far north regions of Queensland. You might be surprised to learn that there’s a reliable rail network spanning that entire distance, which means that rail relocation is often a much more cost effective option than transporting goods via truck given that there’s so much ground to cover. Who Can Use Sea Containers? As a method of transportation, sea containers are incredibly versatile and can be used for a variety of purposes. Just about anyone who needs to move a lot of goods over a large distance will benefit from using sea containers. Some people use them for residential house moves as they allow you to relocate a large volume of goods safely, securely and at a very competitive price compared to trucks and air transport. In the commercial sector, business operating in a range of industries regularly make use of sea containers. For example, companies that are fitting out a new retail or service shop will often use sea containers as a cost effective way of transporting heavy and expensive equipment to location. In addition, many event organisers rely on sea containers to transport their gear across state lines while working to tight schedules. A wide assortment of businesses also use sea containers to relocate very big items or transport a large quantity of goods. It’s worth keeping in mind that while we can provide you with a sea container, you can also have your own container transported if you have one. A lot of businesses may already have their own containers that they need to transport for any number of reasons. The good news is that for you people, you don’t need to hire or buy a new container each time from the company. 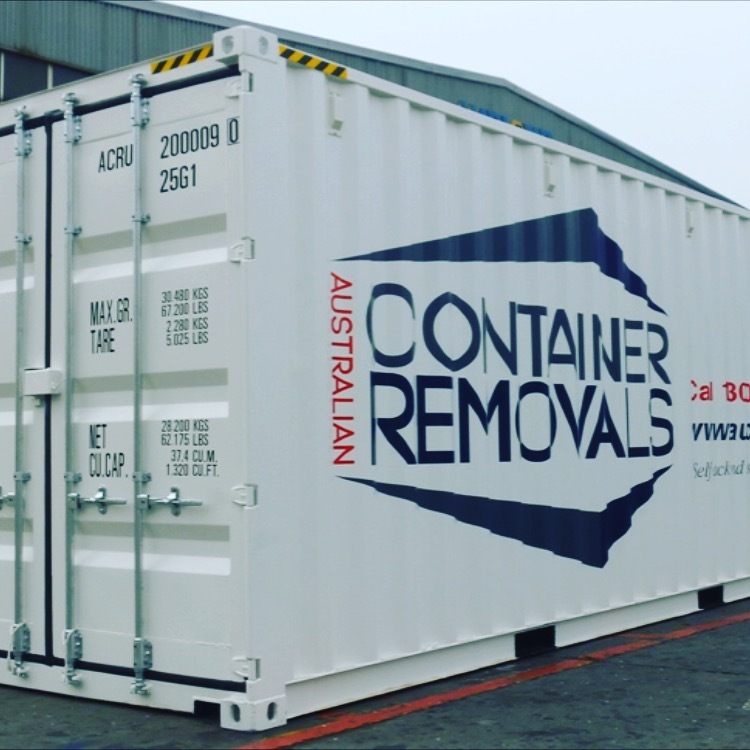 Your information taken and your privacy is important to us at Australian Container Removals. Please click here to view our policy and disclosure statement. IS AUSTRALIAN CONTAINER REMOVALS PTY LTD A MEMBER OF AN ASSOCIATION? 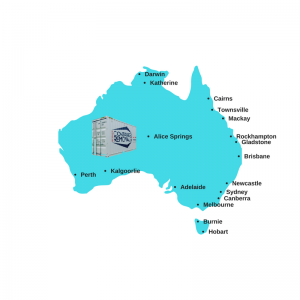 Yes, Australian Container Removals is a member of the Self Storage Association of Australasia.